A wiry Singaporean Chinese lady with neatly tied shoulder-length hair strides into view, an anomaly amongst a sea of tanned Indonesian faces at the bustling Tanjung Luar fish market in East Lombok. This is 2013, where shark-fin buyers arrive eagerly in droves to the market’s auction grounds in search of a good deal. Kathy Xu is here to reverse this. 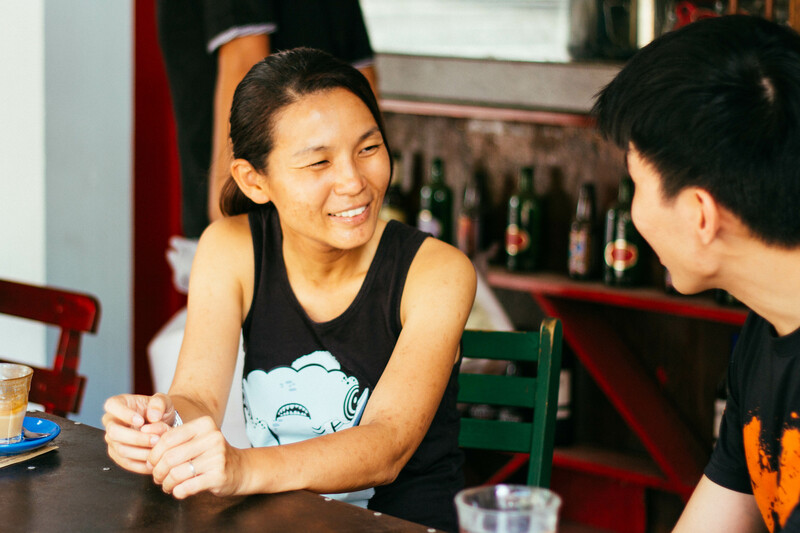 Today, Kathy runs The Dorsal Effect, a social enterprise that organises ecotourism and marine conservation trips. 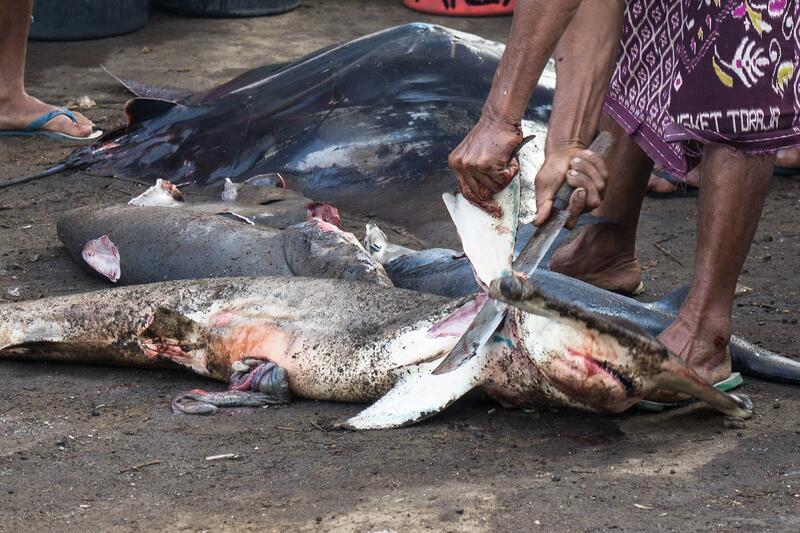 These trips are led by Indonesian shark fishermen as an alternative means of livelihood. Kathy’s decision to leave her job wasn’t anticipated in the beginning. 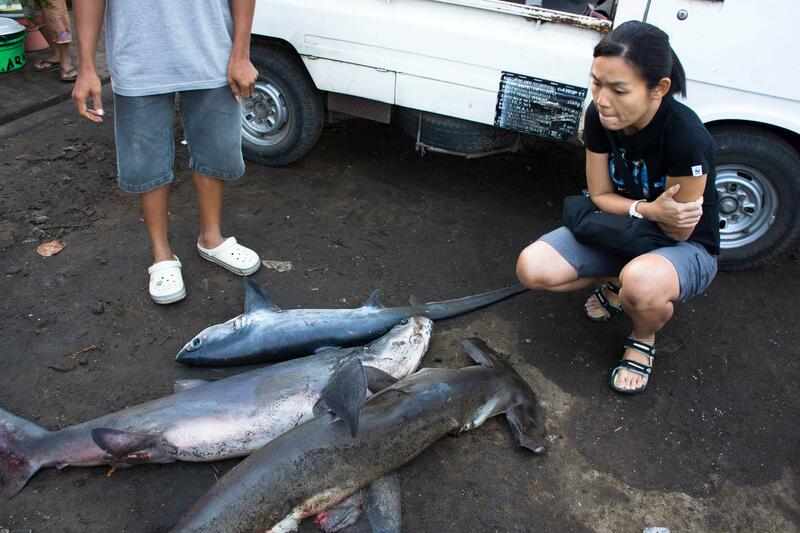 Her move from full-time secondary school teacher to marine conservationist was an inadvertent turn of fate. “I fell in love,” she states simply. It is this declaration that leads Kathy to become reflective, even a little bittersweet. Like most solo founders, Kathy’s days are often ruled by competing priorities. She draws regular curriculum programmes, sorts out finances, develops contracts and crunches what is described as “very mundane” administrative work. “The start was very bumpy. I knew nothing. I had to learn about marketing, social media, finances, setting up a business, and legal issues from scratch. There was a lot of groping in the dark,” she says. Leaving a relatively cushy job and embracing the unknown – these moves indicate Kathy’s emboldened thinking and willingness to not only teach, but be taught. Her marine conservation trips now mirror that of her former career. This time she is the student, and the sharks her teachers. Pain and sacrifice are topics that Kathy speaks freely about. Where does a marine conservation start-up fit in hyper-efficient, GDP-hungry Singapore? Kathy faces an uphill battle every day to run her operations, let alone succeed. “It’s sad how people in Singapore don’t talk about failure,” she says. The odds are stacked. In a blogpost, Kathy’s writings are raw and ruminative. She pours her heart out on issues like fundraising, the depressing lack of environmental consciousness (tourists and villagers alike), and the passing of friends dedicated to the oceans. But most successful founders are driven by impact rather than experience or money, and Kathy’s work is as environmentally impactful as it gets. Kathy thinks about influence a lot. The Dorsal Effect doesn’t measure success in terms of profit, but through more heartening figures: number of students she has talked to during assembly talks, number of tourists and students who come on her trips, number of fishermen who work and remain with her, and of course, the hardest metric to measure of all – how many sharks saved. Where should Singaporeans look if they are keen in local marine conservation? Straightening up, Kathy rolls out two names: the Waterways Watch Society and the Sisters Island Marine Park. Both offer healthy and engaging activities that bring participants closer to nature. Kathy confesses that there is plenty that can be done on Singapore shores alone, but there is not enough people on board. These are tough questions, yet Kathy remains upbeat that marine conservation work is growing. Back in Lombok, the fishermen have grown used to Kathy’s presence. Tanjung Luar’s reputation has also since adopted a decidedly brighter shine. Today, there are more legislated regulations in place, with fishing manta rays and certain species of sharks now considered illegal. Kathy is quick to acknowledge that her one-woman operation is not the key driving force behind increased efforts to cease the shark finning plague. But with dreams as unyielding as hers, this plucky lady might just change the world, one shark at a time. The Dorsal Effect is a social enterprise offering snorkelling and beach-hopping marine conservation boat trips. Tours are run by Lombok fishermen as an alternative means of livelihood.